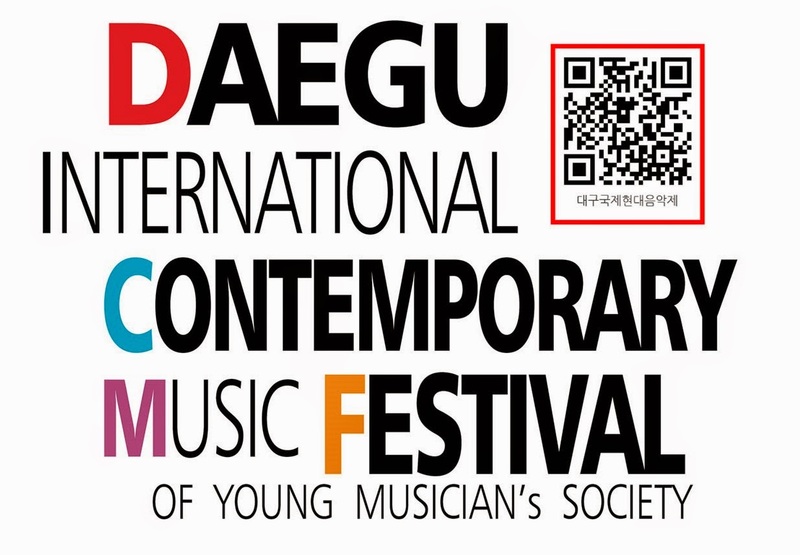 In 2015, there will be a variety of works in Daegu International Contemporary Music Festival. The first day, June 24th (Wed.) 2:00 PM, with beginning of the Opening Media Festival, the work of Byungki Kim, Youngwan Seo, Gregory Kim, Daivd F. Rafferty will be played by using the Media. A famous flutist, Erik Drescher will give a lecture concert with topic of “About the Glissando Flute” translated by Cheolha Park at 4:00 pm. Besides, the work of Jinah Ahn, N.A. Huber., and Younghi Pagh-Paan will be performed in his lecture concert. The second day, June 25th (Thu. ), the workshop “Younghi Pagh-Paan’s Internal Aspect” has been scheduled at 10:00 AM and Younghi Pagh-Paan and Cheolha Park will give a joint lecture of them with the topic. There will be the “Korea-China-Japan Exchange Concert” at 2:00 PM. In addition, there will be the “Saxophonist Benjamin Sorrell Lecture Concert” translated by Youngwan Seo at 4:00PM. He will perform the works of Dongjun Kim, Daeseob Han, Masakazu Natsuda in this time. The Modern Art Sextet Ensemble from German will perform the new pieces from the appointed composers, Bonu Koo, Jihyun Kim, Younghi Pagh-Paan, Honseok Rhie, H.Zapf, Max.Keller, Reinhard Febel. The composer, Reinhard Febel will give a presentation with a topic of “Reinhard Febel’s Internal Aspect” translated by Dohun Lee on the last day, June 26th (Fri.) at 10:00 AM. There will be the discussion time at 2:00 PM among composers with young composers after the pieces of contest have played at 4:00 PM. Several orchestral works from Reinhard Febel, Younhi Pagh-Paan, Wonjung Lee, Juseub Lim, and Michael Sideny Timson will be performed at 7:30 PM with the name of “Daegu Symphony Orchestra Concert” conducted by Sooyeoul Choi.